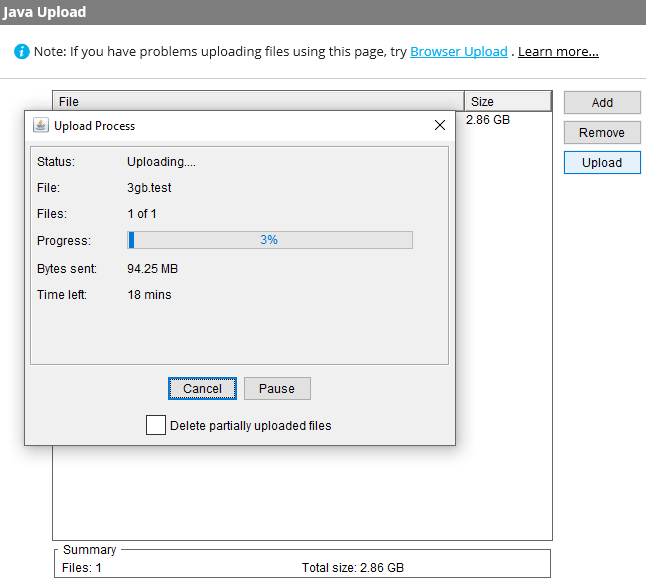 Thru supports pause/resume for large file uploads and downloads with a checkpoint restart feature. 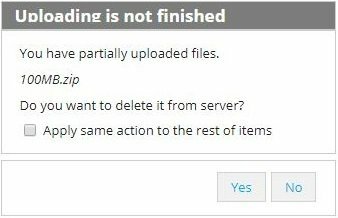 To use checkpoint restart for file uploads, you can use either Browser or Java. Using checkpoint restart for downloads is only available in Java. !Google Chrome only supports Browser (HTML 5) uploads and downloads. To pause/resume uploads, upload files with either Browser or Java and click on the Pause button. To resume upload, click on the Resume button. 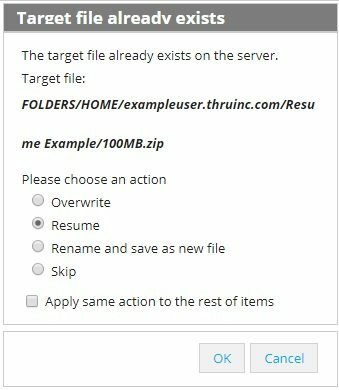 To pause/resume large downloads, use the Java method found in Internet Explorer. Start downloading files and click the Pause button.